Chardonnay ONE DAY Sale May 24 – 30% Off! In honor of National Chardonnay Month we are having a one day sale – 30% OFF our 2009 Chardonnay – no restrictions on quantity. Regularly $24 – now 16.80. Buy now! Join in on a virtual tasting and discussion on May 24th on Chardonnay at www.tweetchat.com. We’ll be there! Bedford Winery has joined forces with next door neighbors Casa Dumetz Wines to bring you some of Hollywood’s classic yet not as well known movies from the past. For our first film in the Classic Movies Under The Stars Series we have selected “Love Me Tonight”, a 1932 Rogers & Hart masterpiece featuring Maurice Chevalier, Jeanette Mac Donald. “One of the best musicals ever made,” notes Leonard Maltin. See EVENTS for more information. 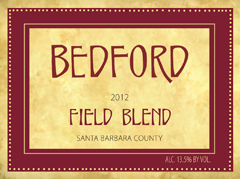 You are currently browsing the Bedford Winery blog archives for May, 2012.